Our first Spring/Summer 18 #Pirouette12watch winner in the design category is London based Goodordering mini. 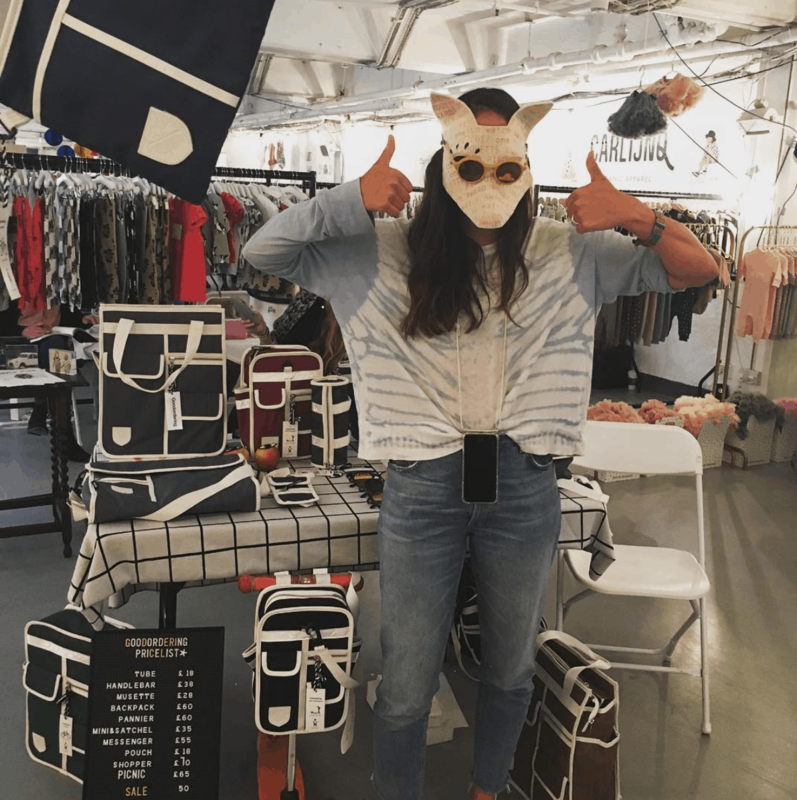 We were introduced to Goodordering mini’s retro/modernist super paractical bag range and innovative multi lens magnetic snap on glasses at Dot to Dot, London. Jacqui Ma is the designer and founder of the label. 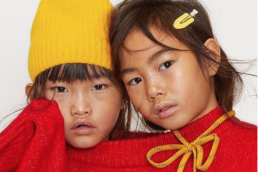 In this winner’s interview feature we chat with Jacqui to discover more about the label, her inspiration and what makes good kid’s design in her view. Hi Jacqui! What’s your background? And how did you get into designing for the children’s market? My background is in product design and then trend forecasting. I worked for Puma designing sports bags, and then Debenham’s department store designing luggage. After that I worked at WGSN for 8 years and then opened my brand Goodordering. My idea was to create a timeless, seasonless range of bags that appeal the whole family – a brand that will grow with you. I had my son Otto in 2012 and i originally designed a mini backpack just for him. 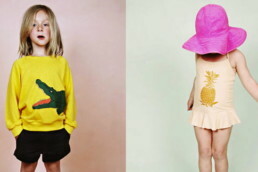 From then, i was asked by lots of people for it and it was so cute i couldn’t resist to add a kids range to the brand. What do you believe good kid’s design to be…? 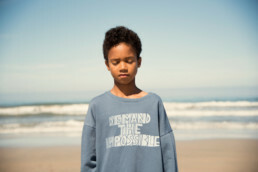 I believe for kids, good design is unisex, not gender stereotyped. I believe that it should be imaginative and not too commercially branded. Design that allows children to take responsibility and also use their imagination with multiple ways to use or wear something is great. Where do you find you inspiration for your collections? I find a lot of inspiration by watching people. I would watch how people interact with their products and other people. I like looking at vintage products to see how they could be updated for a modern consumer. I love looking at blogs, tumblr, pinterest as well as charity (thrift) stores (especially in sweden) and also other brands and graphics. Describe the Goodordering mini range of products? 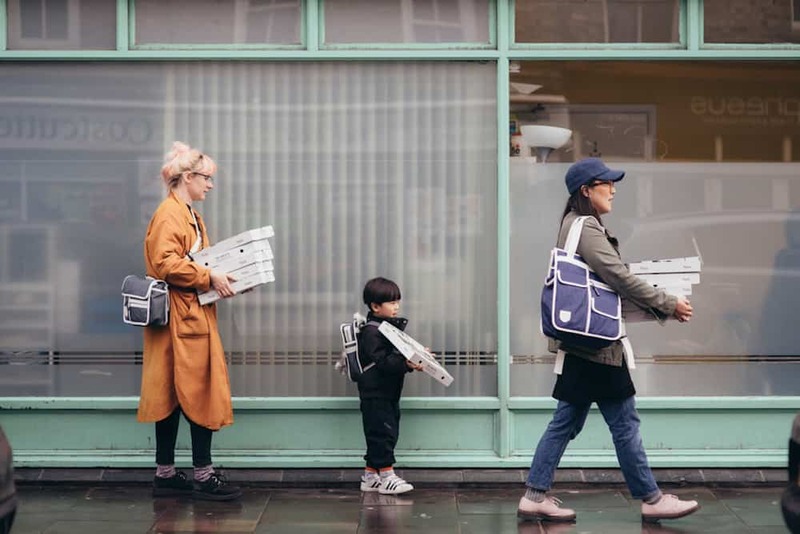 Goodordering bags are all about nostalgia and happy memories of childhood. We want to encourage an active lifestyle encouraging families to do things like cycle to school and work. The bags have lots of pockets and also importantly have reflective strips that make it safer for crossing roads or riding bikes, especially in countries that are dark in winter like in Europe. In general Goodordering products are nostalgic, simple designs with a touch of retro. We also love bright colours and our colours are inspired by school uniform colours. The bags are made from nylon which is treated to be waterproof. Our zips are metal to add a touch of maturity. I also like to use basic materials like velcro and plastic clips that are easy for little hands to operate. In how many countries can you find Goodordering mini? Right now our bags are sold in stockists in 19 countries from Russia to Australia and many places in between. We also sell direct to customers through our website to a hand full more countries. My bags are manufactured in China. I use fair trade factories that I visit about twice per year. I’m looking to expand manufacturing this year to be a little closer to home. Where would you like to take Goodordering mini in the future? This year i’d like to continue to grow the brand and expand into new markets. I still would like to keep the brand small and niche and grow slow and steadily. I would like to introduce some new styles and work with little people to co-design them with me. 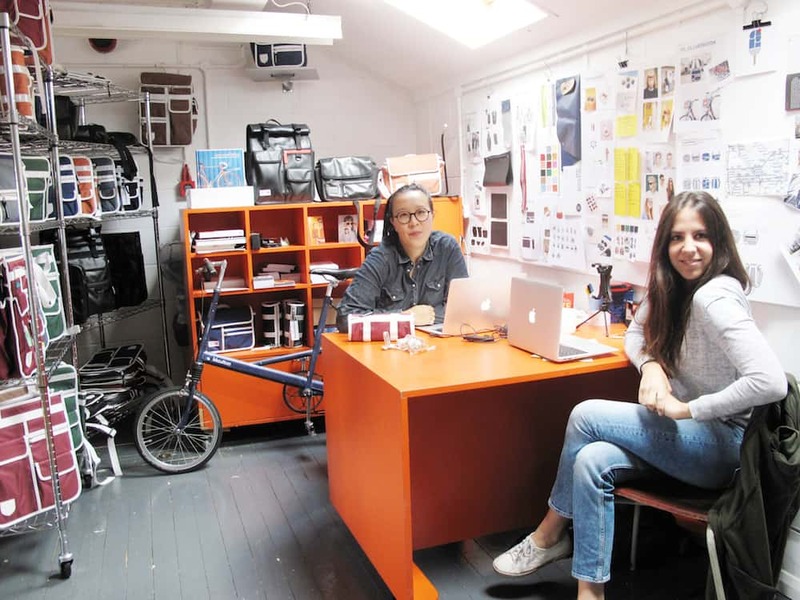 Since we last spoke we have moved into a new little studio in East London and have expanded our team. I like to work with parents who really value flexibility in work so we try to keep things really flexible and fun, even though we are working hard. I have met with someone in Japan who is expanding our brand there so hopefully we will see more Goodordering bags in Japan. Which Trade Shows will we find you at next season? We would love to do Dot to Dot again and hopefully go over to Japan next year to Playtime. Finally, where will you keep your Pirouette One to Watch wolf head piece award?